Having low credit scores today is a major hurdle. Those who have low credit scores are not alone. 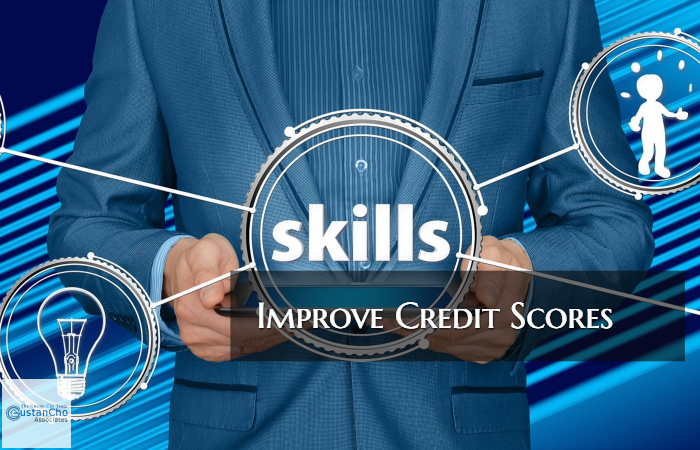 There are ways to Improve Low Credit Scores To Qualify For Mortgage. How Can With Bad Credit? One recent late payment on a credit card, installment loan, or any other credit payment can lower credit scores by at least 50 or more points. Late payments will be reported on credit report for seven years. If the customer service representative refuses to do so, ask to speak to a supervisor. Borrowers who are required to pay off an old collection account by their lender due to their overlays can do so with a pay for delete. What this means is that the creditor will remove the collection or charged off account if consumers pay the outstanding debt. Borrowers need to realize how important it is to pay minimum monthly payments on time. One late payment will not only devastate and drop credit scores but when it comes to qualifying for a mortgage, it can set borrowers back 12 months. Many mortgage lenders will not approve a mortgage loan to anyone who has not had at least a 12 month on-time payment history. Some lenders will go as far as requiring a 24 month on-time payment history. Borrowers do not have to pay outstanding collections and charged off accounts to qualify for mortgage with lenders with no mortgage overlays. The Gustan Cho Team has no mortgage lender overlays on government and conventional loans. Please call us or text us at The Gustan Cho Team at 262-716-8151 or text for faster response to qualify for mortgage. Or email us at gcho@loancabin.com.